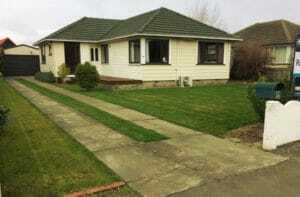 A well maintained lawn gives your property a great look and feel, and increases the appeal and value. 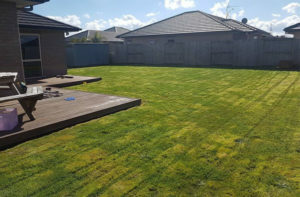 A professional lawn mow can make all the difference to the presentation of your property. 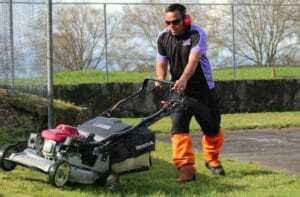 We can do a one-off mow or maintain your lawn on a regular basis. 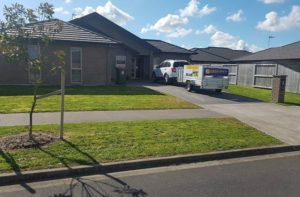 Every lawn mowing job includes trimming the edges, mowing the grass and blowing down paths and driveways to ensure your property is left looking great! Our operators can either mulch or catch the clippings, read the benefits of each below. 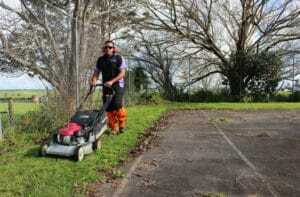 This technique involves using a catcher on the mower to collect the clippings. These can either be added to your compost or removed for a small cost. 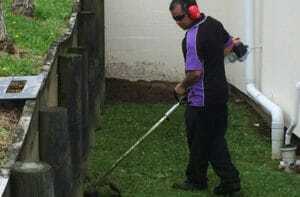 Mulch mowing is a technique where the grass clippings are cut up extra finely and returned to the soil. 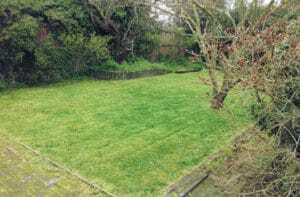 It allows the water and nutrients to be added back into the ground, improving the health of your lawn! 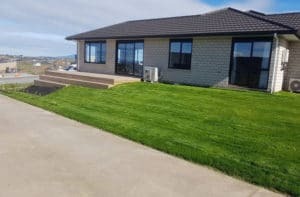 Got a big lawn or lifestyle block? 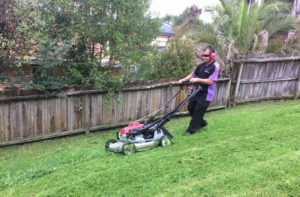 A number of our operators are equipped with commercial-grade ride-on lawn mowers, capable of handling the largest of green spaces with ease. As business owners ourselves, we understand the importance of first impressions. 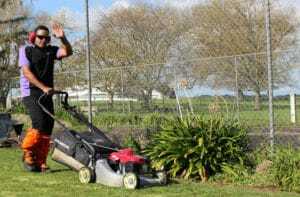 Choose Express Lawn Mowing to maintain your business premises so that you can spend your time working on growing your business.